Why Squinting Helps Us See Better? This is something that all of us have noticed countless times in our daily lives. 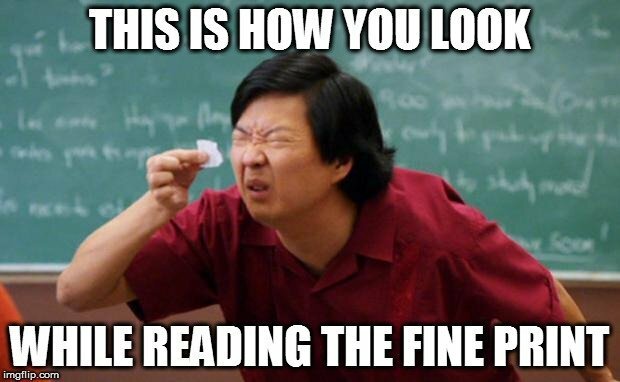 Whether you are trying to read the fine print during a commercial, trying to make out a person’s face from a distance, or even reading this very article – it always helps to see better when you squint your eyes. Has it ever occurred to you why this happens? Why temporarily reducing your eyes’ size suddenly improves your vision? Short answer: Squinting limits the light from other directions entering your eyes. Also, it allows the incoming light rays to focus more accurately on the retina by temporarily changing the shape of the eyes. How do we see things? When I say the word ‘eye’, you might mentally visualize the rotund, blinking pair of organs that sit on either side of your nose. However, contrary to general perception, the combination of a number of biological components actually constitute the human “eye”. You might already know that when light hits an object, it bounces off its surface and enters our eyes, allowing us to see the object. The light, however, is in the form of multiple rays (made of photons), which first enter the pupil and travel through the eye lens. The lens is equipped with ciliary muscles that contract and relax to change the shape of the lens, allowing us to see things at varying distances. 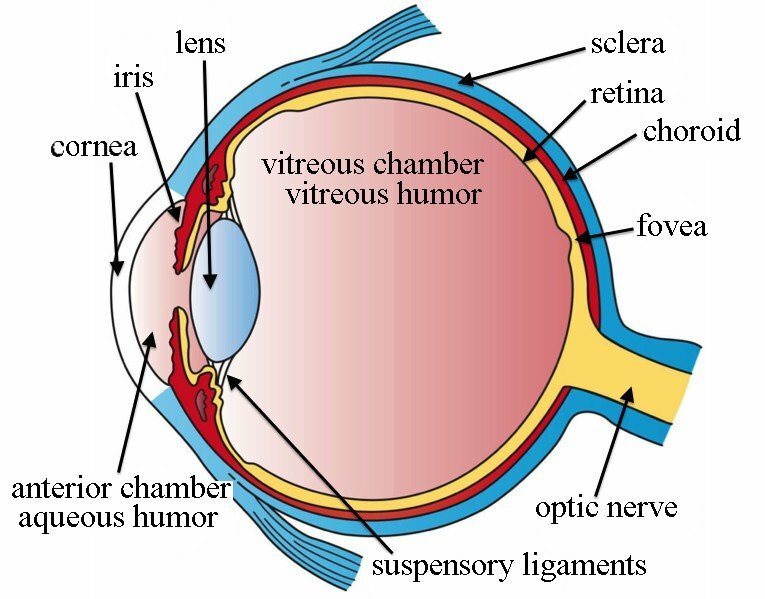 The lens then focuses the light rays, which fall on a sensory screen at the back of the eye (known as the retina). A chemical present in the retina converts light into electric signals, which are then transmitted to the brain via the optic nerve. The brain processes the signals and ultimately allows us to see stuff. How does squinting help to see better? 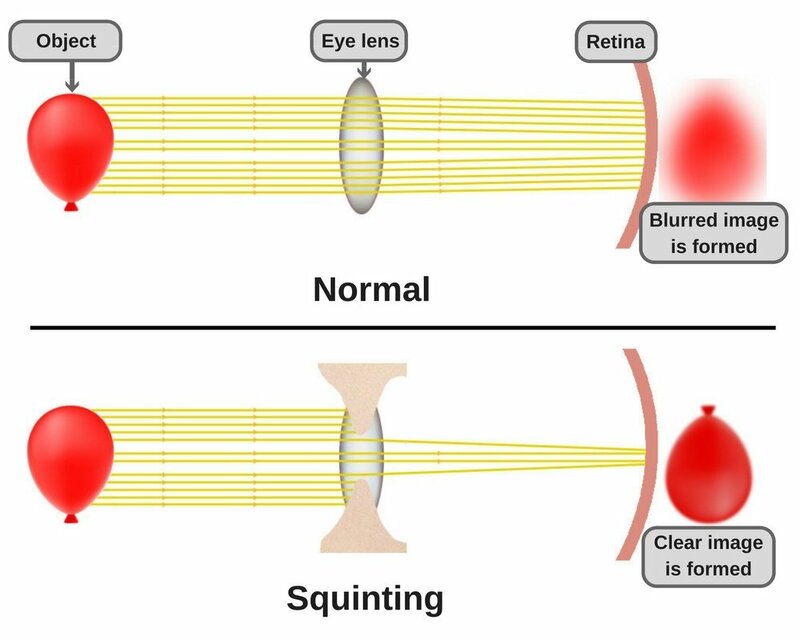 Squinting does two major things to improve vision, albeit only temporarily, i.e., as long as you are squinting. The act of squinting, quite obviously, alters the shape of the space through which light passes, which helps us form a more crisp image on the retina. You see, as one ages, the lenses gradually become harder and loses the ability to focus as well as they used to. This is why most senior citizens use corrective glasses, which help to better focus the incoming light rays on the retina. 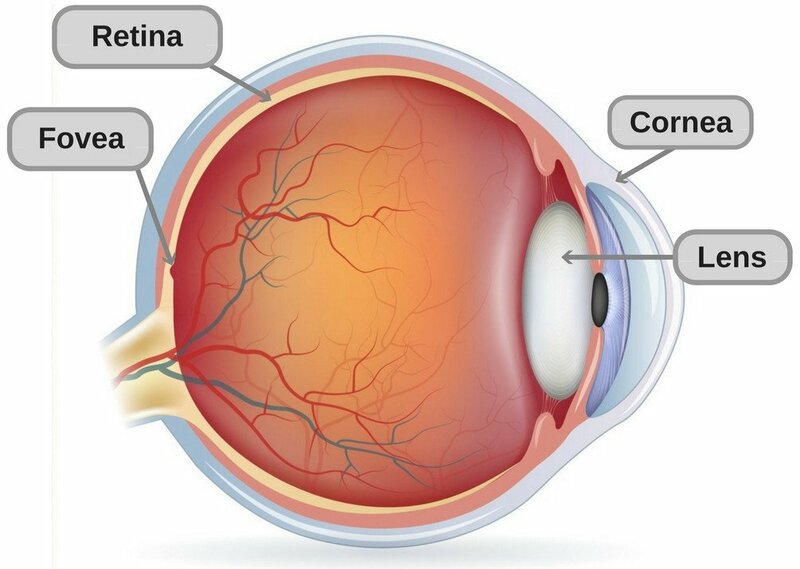 There is a tiny portion of the retina, called the fovea, that is packed with cones and gives us the ability to see things as crisp and clear as they really are. 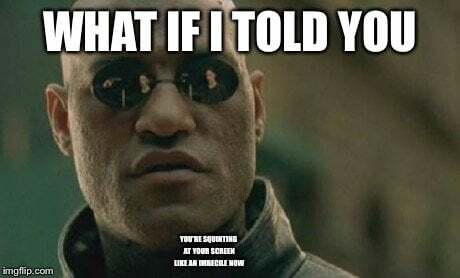 By squinting, you change the shape of the eye, ever so slightly, so that the light accurately focuses on the fovea, improving the visual detail of the thing at which you are squinting. Have you ever noticed that when you look specifically at something, say, this very text, you can also look at its surroundings and simultaneously perceive your own surroundings without actively trying to do so? This happens because humans, like many animals, have impressive peripheral vision. What this means is that light from different sources (other than the light being reflected off these words) also enter and are subsequently perceived by the eye. Normally, this is a great thing, as it feeds your situational awareness. However, when you’re trying to focus on something, like reading the words in this paragraph, you want to minimize the light entering from sources other than the computer or smartphone screen (or whichever device you are reading this article on). You see, if there is light entering from multiple directions, the lenses have to work extra hard to focus the light efficiently on the retina to form a crisp image. By squinting, you inadvertently help the eye lens, as the eyelids block out most of the light from other directions. This leaves the lens to deal with fewer light rays that also pass closer together through its center. Therefore, the whole process of focusing light rays becomes more precise and you can see a clearer image. By the way, there is a very simple, yet astoundingly effective trick that can help you see anything much more clearly, regardless of whether or not you use corrective glasses. So, the next time you are at a vision test, try using this vision trick and you’ll be amazed at the results!